Greenmax tyres offer incredible performance, which is perfect for ultra-high performing vehicles. 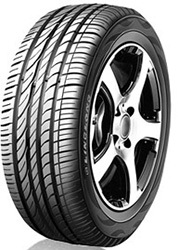 With great durability and a high resistance to wear, there are no better tyres for anyone looking to get the best grip, stability, responsiveness and overall journey performance out of their car. Working well in dry and wet conditions thanks to increase water dispersion and aquaplane resistance, you can go anywhere at any time with Linglong’s fantastic value Greenmax tyres.